I like the bebop play alongs a lot because you can practise the heads unisono with sax or trumpet. And that's exactly what I often do in my current quartet. But there are many other playalongs too, a pretty similar offering to the Aebersold series. To see what's on offer by Hal Leonard click here. 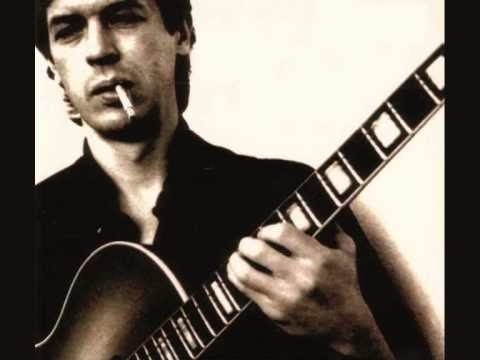 My previous post was about John Schröder, a fine German guitarist few people know about. I added some tracks I found on Youtube but if you really want to hear him in hifi you should check out the album: A Taste of Jazz (1990) by the Klaus Weiss Quintet (Performance CD PE-901). A great mainstream album with excellent guitar playing. Probably the best I know of John. Today I would like to write about another unsung of the jazz guitar: Sean Levitt. Until a week ago I had never heard of him but when I checked him out on Spotify I was really blown away by his playing. I heard a guy whose playing reminded me a lot of Doug Raney, who happens to be one of my favourite players. I did some research on the internet - very little to be found by the way - and it seems the two knew each other very well. He and Doug were pretty good friends in their teens. With Sean being a few years older, he started on guitar much younger and apparently had his playing together before Doug had. So it is likelythat Doug was more influenced by Sean than the other way around. Here is Sean playing his original "Taller Blues." It's a live recording with so so sound. Sean Levitt came from a family of musicians. His stepfather was Al Leavitt, a drummer who toured with Stan Getz and Tristano a.o. and his mother was a singer. Sean lived in NY till around '83, and then moved to Spain where he taught guitar and gigged. He died in 2002, in his fifties. Apparently, Sean went through a lot of drug problems over the years and was in and out of rehab. There are a few nice clips and live vids on Youtube but a better choice to check him out would be some of his albums on Spotify. You will hear a great bebop guitarist with great tone and chops in abundance. Very much in the vein of Doug Raney but, like I said, Sean had his act together earlier than Doug so the influence may well have been the other way around. I added a playlist of a quartet album he did as a leader that I particularly dig: "Sean Levitt." And one of a live trio album "Alone Together." You will find several more albums of this great guitar talent that left us too early and is way too good not to be heard. There are a lot of Martino vids on the internet but the one I have been watching this week really stands out because the audio and video is so beautifully recorded. It really captures the atmosphere of a live performance. And I like nothing better than Pat's playing in a Hammond trio. So have fun with this concert video that was recorded in Poland earlier this year, if you haven't already. You can watch in HD even. Fantastic stuff.